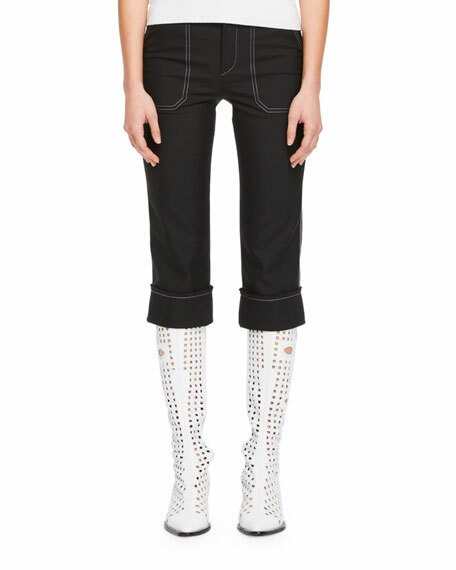 Chloe pants with white topstitching. Cuffed hems; cropped at the knee. For in-store inquiries, use sku #2496437. 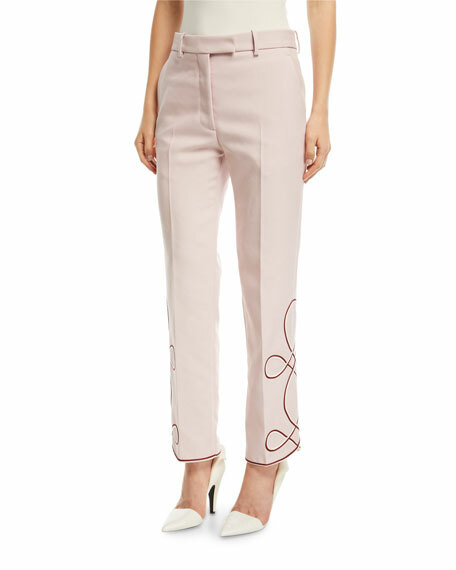 Calvin Klein pants with embroidered detail at hem. Mid-rise; belt loops. Hidden hook-zip fly. Side slip pockets. Back besom pocket. Tailored fit through straight legs. Polyester. Made in Italy. 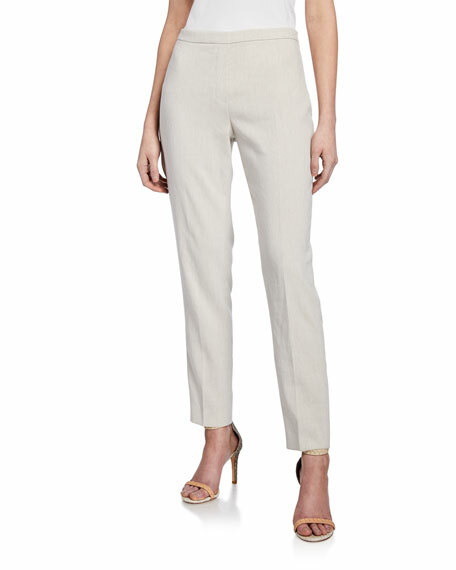 Elie Tahari "Marcia" pants linen-blend. Approx. measurements: 9" front rise; 29.5" inseam; 11" leg opening. Mid-rise; flat front. Back welt pockets. Straight-leg fit. Ankle length. Side zip closure. Linen/polyester. Imported of Italian material. 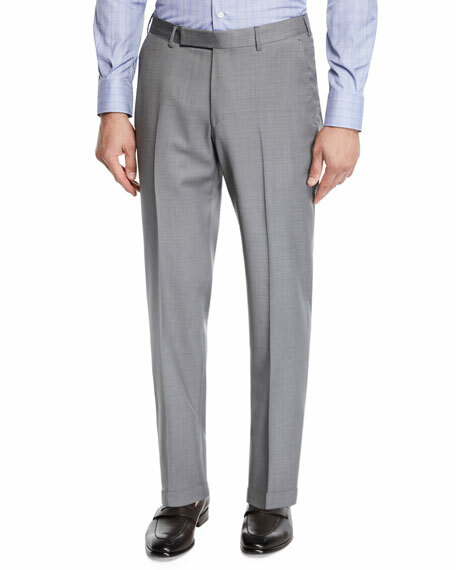 Ermenegildo Zegna "Achill" pants. Quarter top pockets; back button-welt pockets. Flat front. Straight leg. Unfinished hem may be tailored to desired length. Tab/zip front; belt loops. Wool/silk. Dry clean. Imported.